Create entertaining web-based puzzle games with Flash Jigsaw Producer! Do you want to add online games to your web-site? Both the web-gurus and the newbies can improve their web-sites with the web-based games using the Flash Jigsaw Producer. 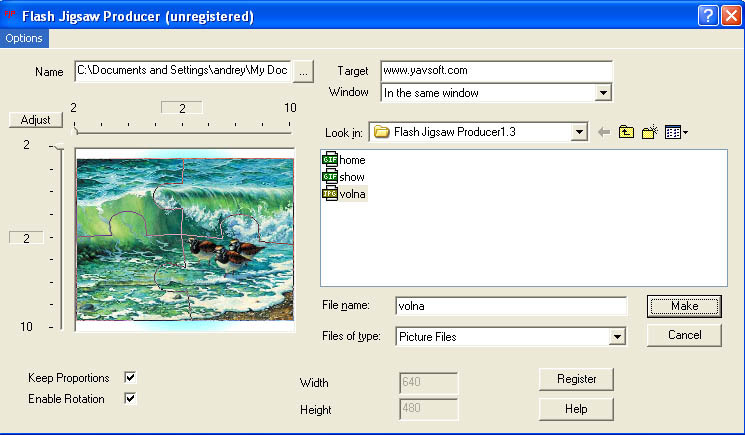 Flash Jigsaw Producer has a comfortable interface and is able to create FLASH puzzle from any BMP, GIF or JPG image. 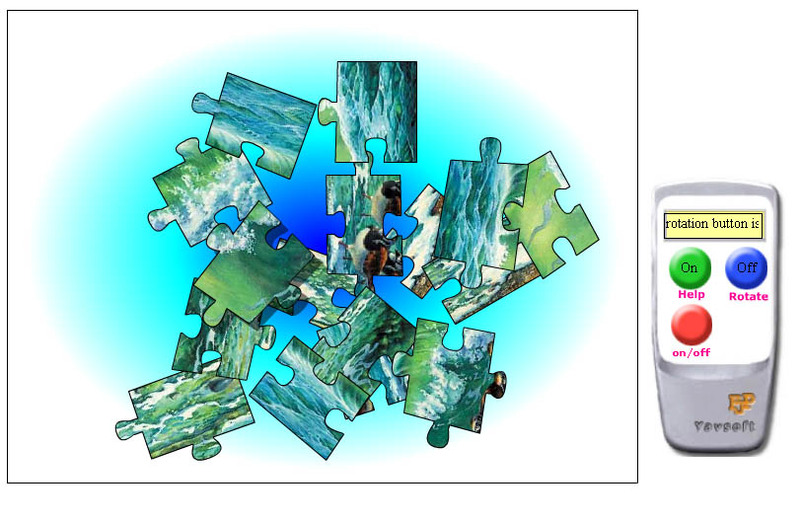 The size of the resulting picture puzzle as well as the number and the shape of the puzzle pieces are fully customizable. No more limitations on the functions. Please note that you can always install a newer update of a trial version over an installed purchased version. Flash Jigsaw Producer will keep your registration and settings. HTML Protector - help you protect the content of your web page by preventing others from viewing your source code. HTML Compact - a powerful HTML compression tool created for webmasters. Link Survey - find link exchange partner to boost google pagerank. Domain Inspect - whois and link popularity lookup tool with domain name generator. Conversion Track - track conversion rate and return on investment of website. Free Java Button Maker - create Java applet buttons for the Web without requiring any Java or HTML programming. 123LogAnalyzer - the fastest and most powerful Web Customer Analysis Tool available and by far, the most cost effective. FFA Blaster - powerful FFA links, FFA Page, FFA links page Blaster Tools. HTML Color Picker - pick any favorite colors from your computer and save them to your favorite collections. 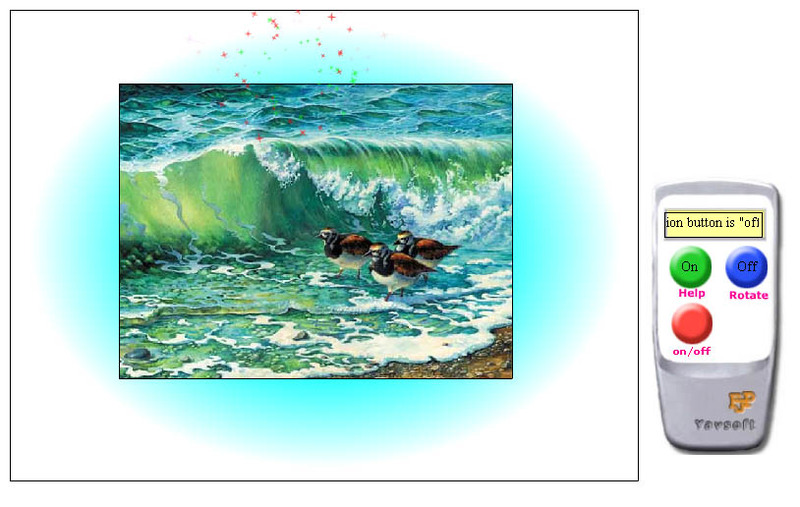 Animated GIF Maker - create fabulous animated GIF images for the Web. Easy Icon Maker - a professional all-in-one icon program including icon maker, icon editor, icon changer, icon explorer, icon extractor, and icon searcher. CoffeeCup News Flash - Add Headlines and News to your Website Fast! 3D Button Creator Gold - Creat 3D Buttons using Bitmap Jpeg Gif etc.